Lower Paxton is a small town, but that does not mean that the city is not filled with beautiful places to walk, relax, and eat. Nearby to the area, you can experience history firsthand at the AACA Museum, which has vintage vehicles on display or you can take a trip to the Boyd Big Tree Preserve where you will be surrounded by nature. While you are here in Lower Paxton, you do not have time to sit around and hope your toothache disappears. You will miss out on activities and find yourself with a wasted vacation. Fortunately, there are dentists and specialists available in Lower Paxton to help you. 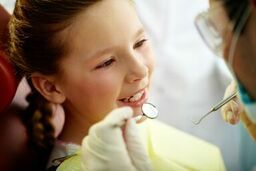 The team at emergencydentistsusa.com has worked to compile a list of local Lower Paxton dentists and dental specialists for you to choose from. Our list is comprehensive and includes everything from local general dentists to oral surgeons and more. If you are unable to take a moment to browse the list, we ask that you call our toll-free dentist finder hotline and we will help you identify a nearby dentist. Once we have helped you decide on a dentist, we will schedule your first appointment for you and provide you with directions on how to get to the dentist’s office. We do recommend that you arrive early for your appointment to fill out paperwork and that you bring your ID, dental insurance card, and copayment with you. Searching for a dentist or dental specialist does not have to be difficult, even if you are just visiting in Lower Paxton. Fortunately, there are many options available to you from general dentists to pediatric dentists to oral surgeons and even implant specialists. Typically, patients will see a general dentist first and if the general dentist is unable to perform a needed procedure, the dentist will refer the individual to a specialist. Description: Paxton Family Dental is your source for premier dental care. We know how important it is for you to have affordable dental care available to you and we work hard to keep our prices low. Our office is dentist owned, which means you will see the dentist every time you come in here. We take a personalized approach to dentistry and you can expect Dr. Deets to sit down with you one on one and explain the procedures you need to you. Description: Susquehanna Dental East is a family dentistry clinic in Harrisburg that is committed to providing you with the smile that you deserve. We offer a wide range of services from routine checkups to teeth whitening, root canal therapy, dental implants, and more. Since your smile is one of the first things that someone will notice, we want yours to say that you are confident, healthy, and happy. Description: Harrisburg Family Dentist is committed to making sure you are happy with your smile. We offer in-office whitening and free smile analysis to ensure you get the smile you’ve always dreamed of. We are proud to be able to offer you affordable services. Whether you have an abscess or you are due for a routine checkup, our dentists are here to help you. Tooth pain can start out mild, but intensify as it persists and if you have been in pain for more than a couple of hours, you should seek out emergency dental care immediately. It is important that you do not ignore the pain, as it can be an indication that there is a problem. If you are experiencing tooth or jaw pain after an accident, we recommend that you visit the local ER or urgent care center first to determine if there are any serious injuries or broken bones. Visiting a new dentist can be nerve wracking, but with some simple research, you can verify the dentist’s credentials and licenses to ensure that he or she is qualified to provide you with the care you need. To search for their credentials, you can visit the Pennsylvania Dental Association and perform a quick search. In addition, you can ask the reception at the dentist’s office to see the dentist’s current licenses and certifications.